Also called the smooth newt. 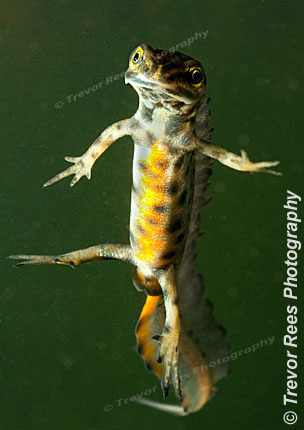 Photographed in a freshwater pond. This male is characterised by his jagged top crest, large spots and a bright colourful belly and tail.